Michael Chrichton convinces his readers that it is experience not comfort that invigorates people. The author motivates people to think of necessary accommodation and food, and other stuff and get experience through a journey. Below I will share free alternatives for European 8 countries (15 cities in total) from my traveling experience. Hope that they will inspire you for action and fun! Enjoy! As I have mentioned before, food expenses take much from your travel savings. I advise to make some food reserve in your backpack to avoid starvation and bad mood. Visit a supermarket and buy stuff for snacks. If your journey is not long, you can cook something beforehand at home. How tasty are the sandwiches and baked pudding after they have been drawn from your bag. Remember about water, fresh fruits, vegetables, and nuts. They will compensate the harm from the street food. Yeah, you should eat it if you are out of your reserves. But, it will hardly do much harm for your health if you travel rarely. Moreover, it helps to catch a routine atmosphere of the city. I recommend currywurst street food in Berlin, maroni in Austria and Germany, as well as outdoor weekend markers in the majority of other European cities. Almost all hostels offer free walking tours over the city for their residents. Take advantage of them! You will get acquainted with the “SparkNotes” of the city for free. All you should do later is to choose the best options to pay attention to and visit them by yourself. Agree that it is a bit tiring to bounce from one monument to another alone. Thus, do it in a company of your room-mates and guide. Of course, you will have to spend some sum on transportation to your goal, but the danger hides behind the main route cost. It is in details. Firstly, the cost of local transport can take much more than you expect. That is why, it is better to get the information about the local transport and cheap ways of using it beforehand. Secondly, airports always use tricks, such as cheaper tickets to the out-of-city airports. It can cost you more to get to the center of the city than to pay a legitimate European airline, which will set their passengers in the city. Consider this fact! The most desires for traveling are ruined by huge expenses. People realize that all their earning will go on transportation, food, and accommodation. Consequently, they choose to stay at home rather than to take a challenge. Of course, your comfort will be cut, if you are out of money, but it does not mean that it will make your journey impossible. 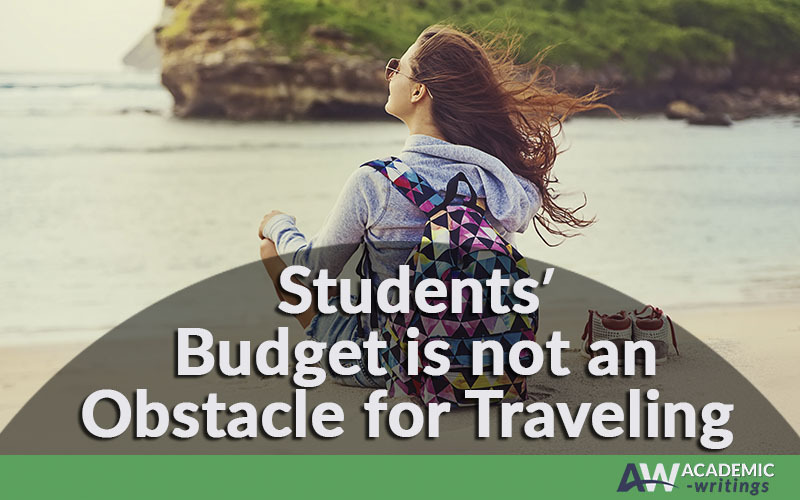 A student budget should not prevent you from traveling. Figure out cheap ways to do it and go ahead!